The idea was founded in something so humdrum as enjoying life. And something not so humdrum as long-term commitment. Driving along narrow coastal roads with no roof. Walking along vastly sandy beaches with my feet sensing all kind of sand corns. It may sound corny. If I will have the opportunity to name a beach, it might be. I will drive all the way from the northern border between Norway and Russia down to border between Greece and Turkey. Along, or close to the coasts, more often than not often, with an invisible roof. And then. Walking with invisible shoes on all the sandy beaches I can find. But not all the beaches. Just the ones longer than 2 kilometres in Sweden, Norway and Finland and 5 kilometres in the rest of Europe. Without really knowing I think this driving/walking tripelitrip will take at least 15 years to accomplish. 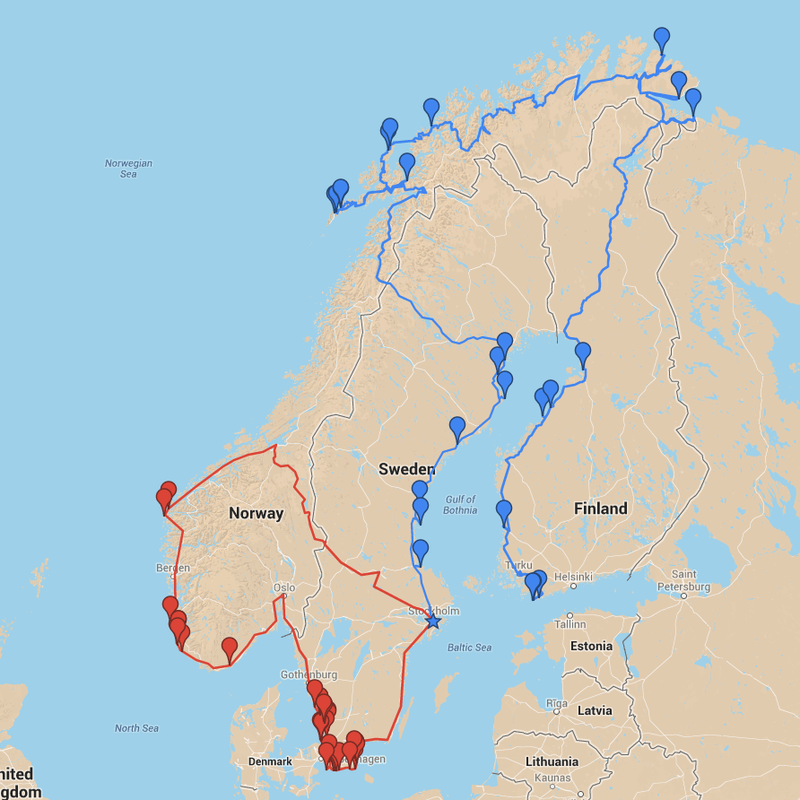 In the end of 2014 I have conquered the beaches in Sweden, Norway and Finland, see route map. The map will be the legacy of this project. No country in Europe has a map listing all the longer sandy beaches. I also add pictures and videos, measure how long they are and mark them into 1-5. The perfect tool for everyone that wants to find the their type of sandy beach. This is a kind of an adventure built upon “slowliness”, positive loneliness and not so much performance and short term confirmation. Ingredients we all need more of in our fast kick society. It might end up in a beach book by Mr Beach, with pictures and short(s) stories. It may take some time. I need more “LONG-SIGHTEDNESS and SLOWLINESS”. This is my contribution to visualize and inspire a lifestyle where you can create your own experience with aftertaste. Based upon a crazy daydream that I decided to realize the minute it came to me. On the sandy beach in Nai Yang, Thailand. Even though it was.